Meet Bill and Phyllis Casey who live in the Brunswick Forest community in Leland, NC. In September 2018, Southeastern NC was hit by Hurricane Florence causing catastrophic damage to the area. 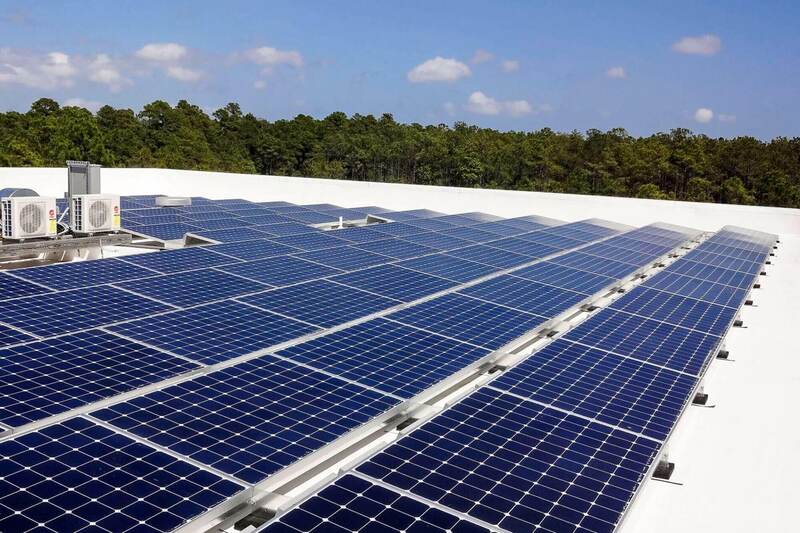 “Our solar panels were not even touched.” Cape Fear Solar Systems designs their solar arrays to withstand wind loads for a category 4 hurricane. The Caseys saw their system tested when hurricane Florence hit. “And even though the system was still working great after the storm, who shows up a day or two later after the storm? Cape Fear Solar Systems was actually sending out technicians to make sure everything was okay with their systems. Now that’s service.” Choosing a reputable local solar company is important when it comes to servicing a solar system, especially since the systems are expected to work for 30+ years. 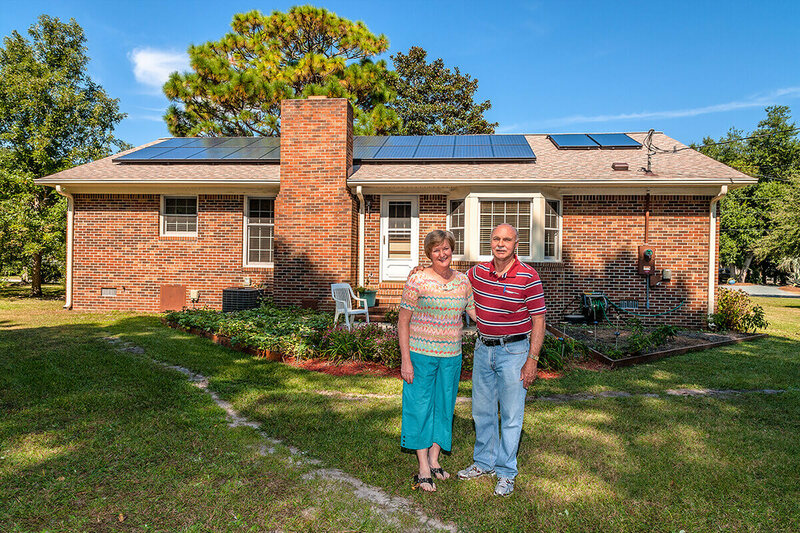 The Caseys have now owned their SunPower solar panels for several years. They are positively impacting the environment and saving money with solar.